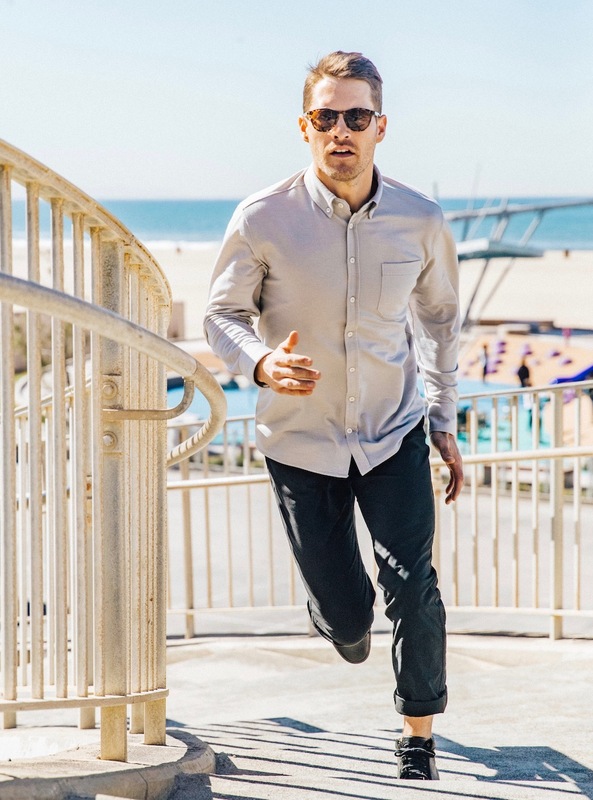 Looks like an oxford, is more comfortable than a t-shirt, and outperforms your activewear. When we set out to build a shirt as dynamic as your daily life, we knew we had to start with the fabric. Superfine Merino wool is quite simply the best natural performance fiber available. So, we partnered with the The Woolmark Company, utilizing the latest technology to build the ultimate performance Merino wool blend shirt fabric. Our unique knit fabric blends 53% Australian Merino wool and 47% polyester to create a fabric that is soft, machine washable, odor and wrinkle resistant, temperature regulating, and moves with your body. The ultimate performance fabric for any activity. Designed and sized for a flatter and slimming yet comfortable fit. For reference on sizes and measurements see our size and fit guidelines. Wash with like colors with mild wool detergent (Kookaburra) cold. Lay flat (recommended). Can be machine washed and tumble dried gentle on low heat but expect half size shrinkage (we machine wash ours).